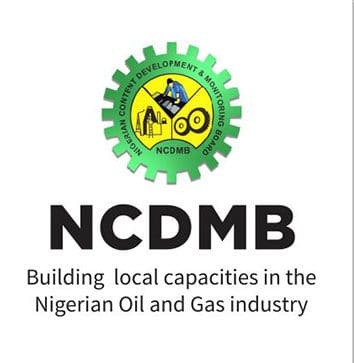 The Nigerian Content Development and Monitoring Board, NCDMB on Friday in Yenagoa launched a 130-page Compendium of Nigerian Content Opportunities in the oil and gas industry, 2019 as part of the events marking the 2019 Nigerian Oil and Gas Opportunity Fair, NOGOF. It was stated that the future of the Nigerian oil and gas sector is very bright as the midstream and downstream sector of the industry was projected to have investment opportunities worth over $51 billion to support the growth phase of Nigeria. This it was said gives an insight into the future of the sector, which has always been valuable support to the Nigerian economy. Presenting the compendium, the NCDMB Executive Secretary, Engr Simbi Wabote said that it is aimed at providing indigenous companies and Nigerian businesses timely and adequate information on existing opportunities so as deal with the notion that Nigerian companies cannot perform. Wabote said that the document would serve as major package participants at the fair will take back to their offices to enable them to sit on the table to say “what are the opportunities to pursue?” He disclosed that the opportunities shared at the maiden edition as well as the 2019 NOGOF are all contained in the compendium. Adding that the documenting the opportunities would also help anyone who may wish to measure the level of achievements attained on the listed opportunities from time to time. Stating that the compendium will be updated every two years so that people constantly are aware of what is coming their way, said that lack of information has been one of the banes of local businesses. He said: “Local businesses don’t understand the opportunities that are coming because in the past, companies shielded and shared with only those that they know. “But we say no more! Let us put out this in the public domain because Nigerian businesses are complaining that they don’t know what is coming and that once it comes they are not prepared enough in terms of finance, capacity thus making them unable to deliver. Then you say Nigerian company cannot perform. For you to try them, give them the opportunity and watch them grow gradually. Charging the indigenous companies to take advantage of the opportunities, Wabote said: “We have shared the opportunities; we are also going to expand it on our website. Take advantage of these opportunities; get away from the entitlement mentality because local content is not an entitlement agenda. The oil and gas sector is a sector where you must provide your service to the right specification and quality because we cannot accommodate failure and mediocrity. If you are not able to do it, let those who are competent do it. Build your capacity to take advantage of it. The Local Content Act is not for foreign companies alone, it is for Nigerian companies as well,” Wabote charged. Earlier in his speech, the Chairman, NOGOF 2019 Planning Committee, Akintunde Adelana along with the Event Organiser, Mrs. Funmi Ogbue, MD/Principal Consultant, Jake Riley Ltd said that the compendium is NCDMB’s pioneer attempt at creating a database of opportunities covering the upstream, midstream and downstream sectors of the Nigerian Oil and gas industry. “The aim is to help local, indigenous and potential investors to prepare and improve their capacities and capabilities to participate in available and upcoming contracts/projects.